This beautiful princess pendant with side stones can be customized to fit your desires. This pendant is currently available in silver. You can further customize this lovely pendant by selecting the number and type of gemstones and choosing between natural and imitation gemstones. 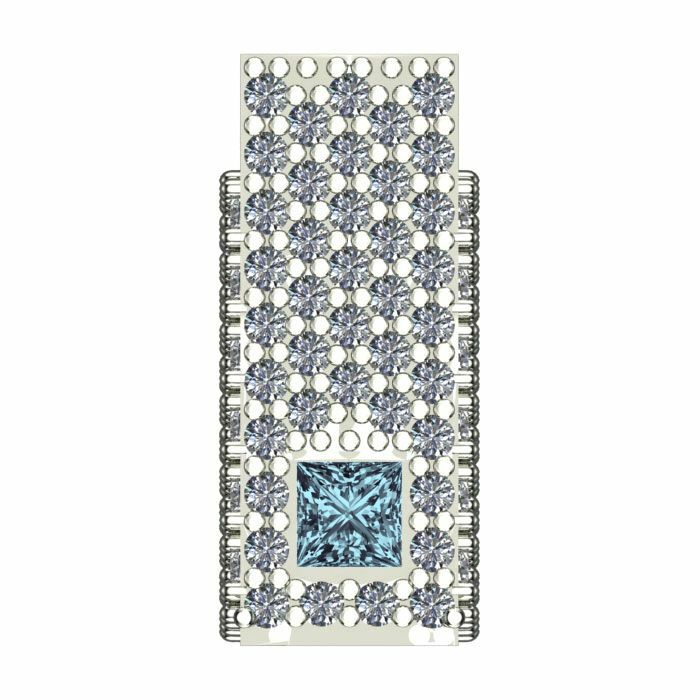 This pendant contains up to six 3.3mm gemstones, and up to 148 1.1mm round sidestones. The weight of this pendant ranges from 2.4 grams to 3.8 grams depending on the number of stones selected.